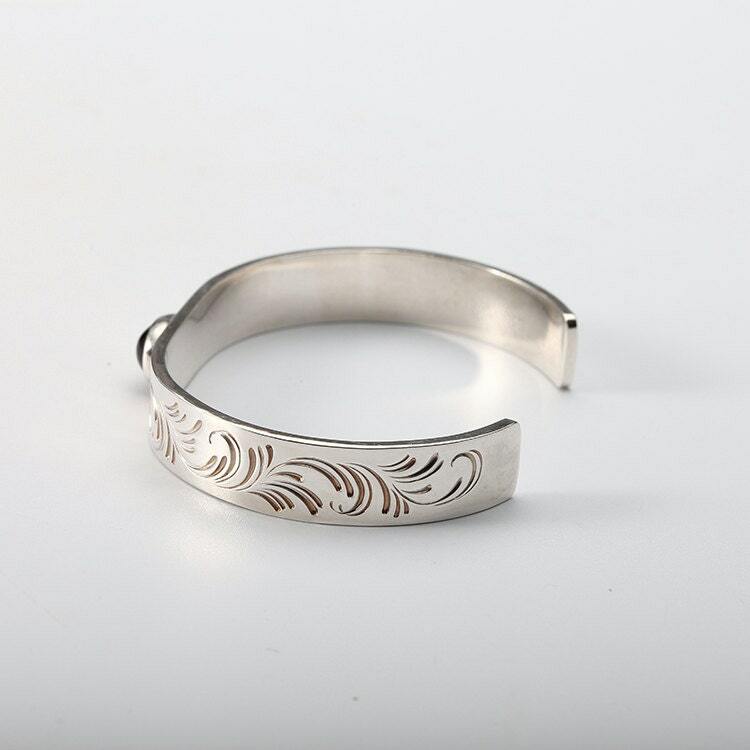 The garnet bangle is an engraved silver bracelet with beautifully carved Arabesque patterns. 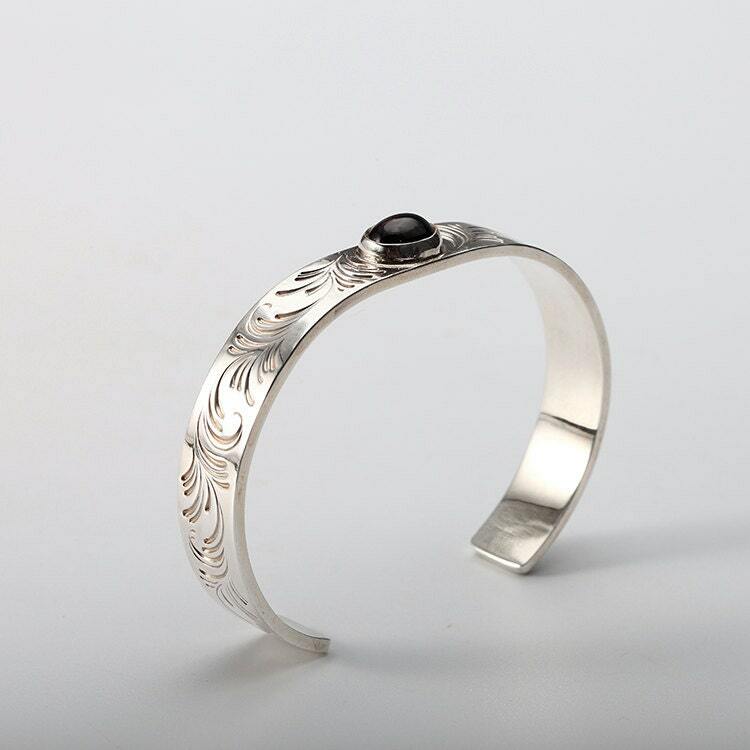 Garnet is the birthstone for people born in January - so you can use this opens silver bangle as a January birthstone bangle as well. 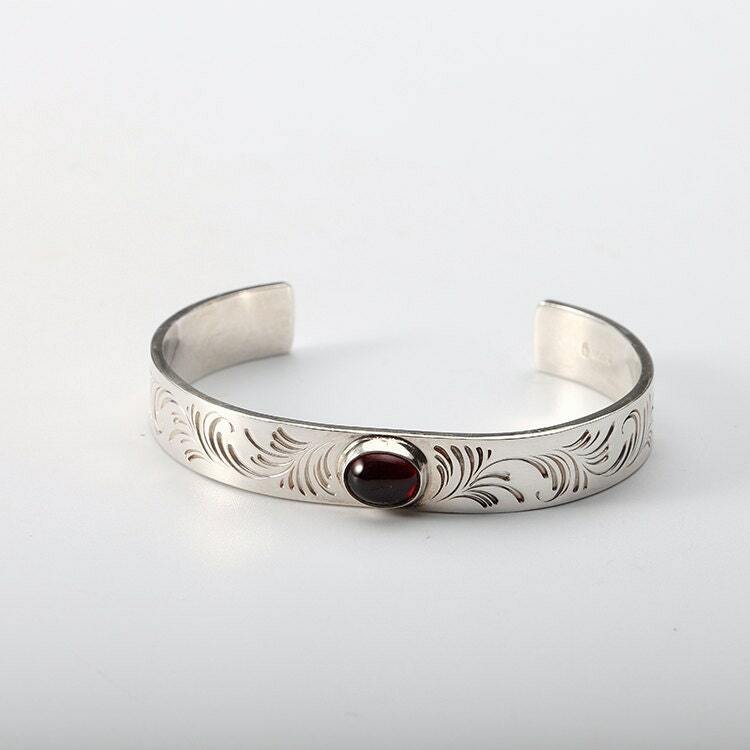 Or you can wear the silver cuff bracelet just for its beautiful design - the arabesque carved patterns, and the flaming red warmth of the garnet gemstone that contrasts with the cold shining silver. 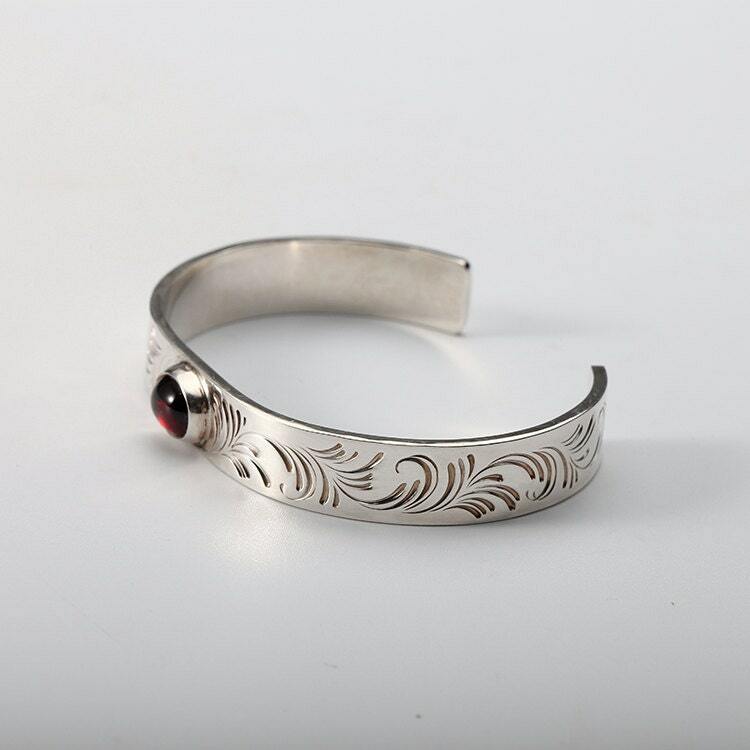 Material: 950 sterling silver, red Mozambique garnet (8*10mm).